Mingled with local people and and had noodle. The last morning of my staying in Taipei. I got up early and checked out from my hotel and left my baggage at the hotel. And I went toward Ningxia night market (寧夏夜市) that I visited the previous night. 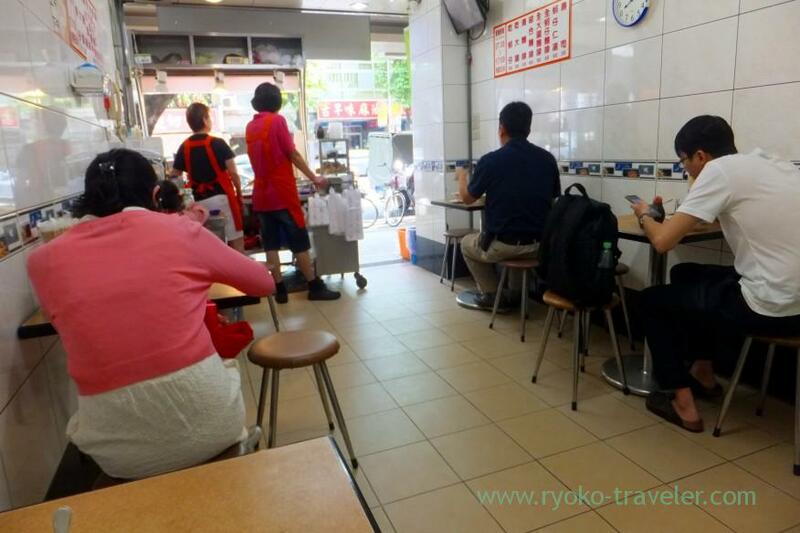 I had breakfast at this shop named “阿川蚵仔麺線”. They cook in front of the shop and serve. 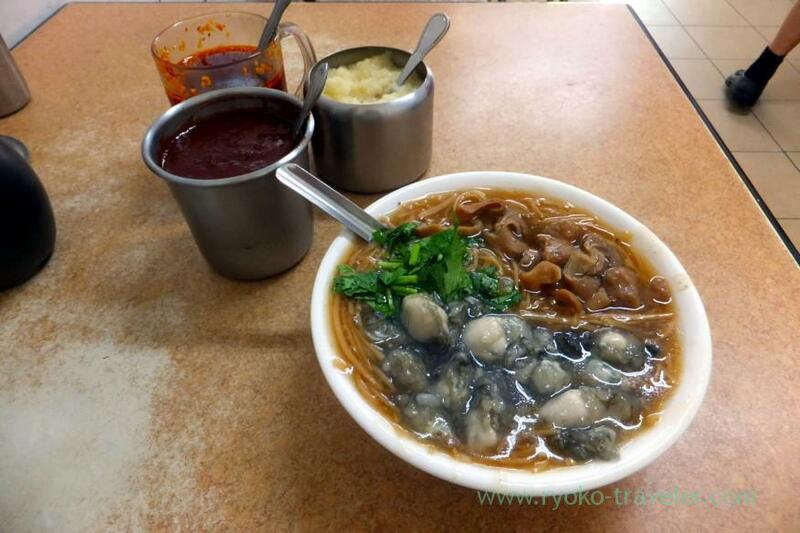 They are rice-flour noodles shop (Taiwanese narrow noodles named “麺線” like vermicelli) having oysters and pork giblets. They are open until 5 p.m. So, I couldn’t visit there at the previous night. My breakfast was served a few minutes later. There’s grated ginger, spicy miso and spicy vinegar on each table. 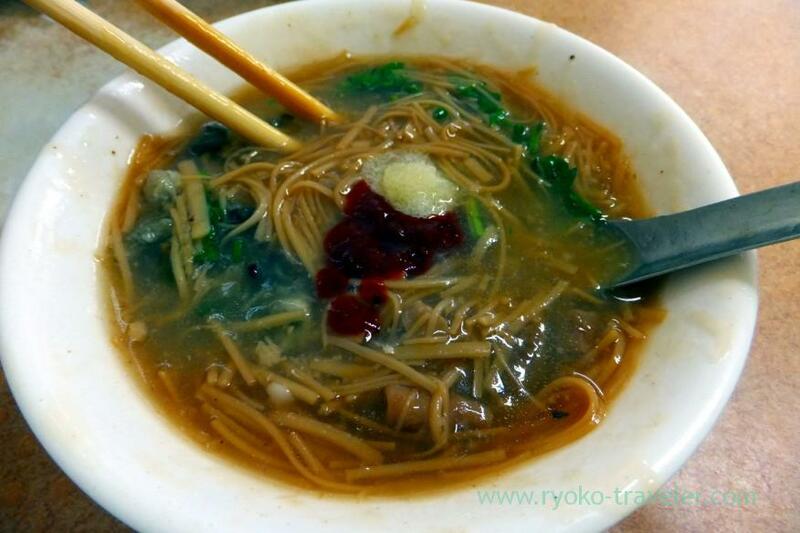 Small bowl was filled with the narrow noodles, smaller size of oysters, pork giblet and coriander. This bonito-based soup was mild and it tasted like Japanese soup. I put some grated ginger and spicy miso after a while. 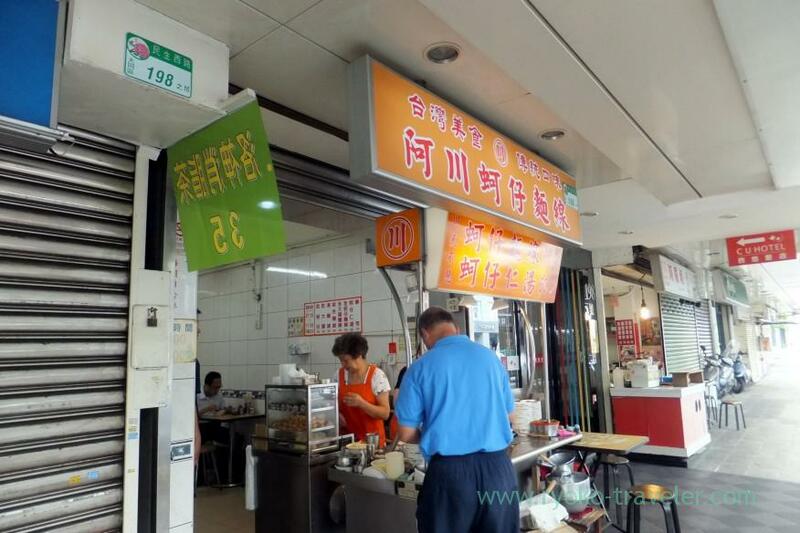 After that I went toward Difua street (迪化街) for getting mullet roe and dried fruits. I dropped in at two dessert shops on my way to Difua street.